THE Venezuelan Institute for Culture and Cooperation in Guyana is now functioning in an entirely new and different environment, the Institute announced yesterday. Described as “a perfect setting with air-conditioned rooms for gatherings, classrooms and offices,” the Institute facilitates 300 students who are learning Spanish as a second language. 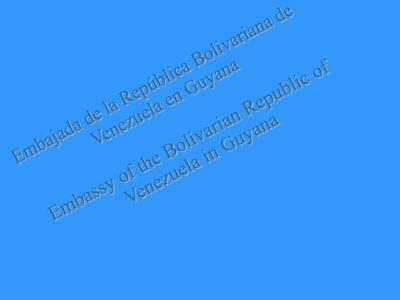 Ambassador Dario Morandy indicated that this is a reflection of the efforts that has been made to strengthen the permanent relations and cooperation between Guyana and Venezuela. 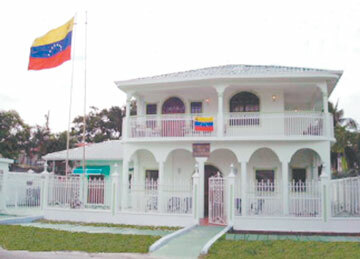 He said new programmes will be designed which includes courses of advanced training in a variety of areas, cinema club, exhibitions of craftsmen, painters and sculptors and the social organisation to set in motion various Social Missions as an introduction for the installation of the "House of ALBA” (Bolivarian Alternative for America). The new IVCC building in Guyana represents a demonstration of our policy for the Latin American and Caribbean Integration,” the Institute stated. The Venezuelans have opened a brand new cultural centre which officials yesterday said is evidence of the strengthening of the relationship between that country and Guyana. In a press release yesterday, the Venezuelan Embassy said that the new building on New Garden Street boasts a perfect setting of air conditioned rooms for gatherings, classrooms and offices. 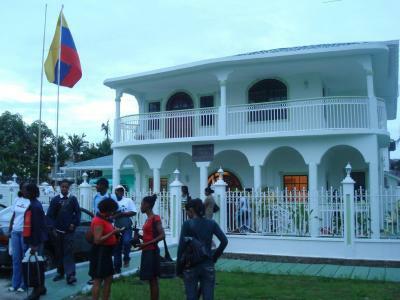 “The old and deteriorated building of the Venezuelan Institute for Culture and Cooperation (IVCC) on Camp Street in Guyana is now a memory,” the embassy said. Ambassador Dario Morandy indicated that this is a reflection of the efforts that have been made to strengthen the permanent relations and cooperation between Guyana and Venezuela. “The new building is rapidly becoming a reference for the people of Guyana, whose more than 300 students are learning Spanish as a second language,” the statement said. Ambassador Morandy also announced that new programmes will be designed to include courses of advanced training in a variety of areas. There will also be a cinema club, exhibitions of craftsmen, painters and sculptors. “The new IVCC building in Guyana represents a demonstration of our policy for the Latin American and Caribbean Integration. Now, culture acquires a new dimension as the instrument for the integration of the people,” the embassy said.